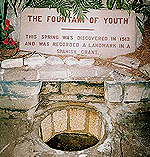 The oldest permanently occupied settlement in the continental United States. Don Pedro Menéndez de Avilés first stepped on a sandy beach here August 28, 1565, the feast day of St. Augustine, and established a small settlement for the Spanish government. 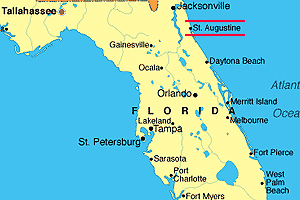 It was ruled for a very short time by the British in the 1700′s and became a United States territory (with Florida) in 1821 and part of the state of Florida in 1845. 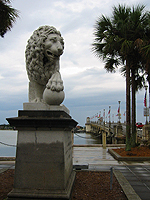 Henry Flagler, real estate promoter and railroad developer, was a key figure in developing Florida’s eastern coast along the Atlantic Ocean, and founder of the Florida East Coast Railway. 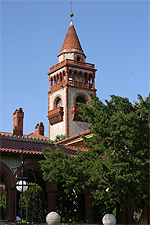 Flagler began his hotel and railroad development projects in Saint Augustine around the turn of the century (1900) and much of the current architecture is a result of the Flagler era. 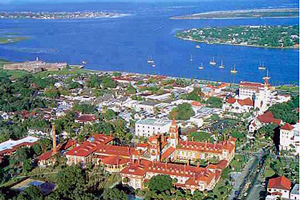 Today St. Augustine retains the charm of all of its history from the Indians preceding the Spanish settlement to modern day shops and cuisines. One of the delights of this old city is its compact size, walkable from end to end in about 20 minutes. Narrow cobbled stone streets with quaint shops, inviting art calleries, fine restaurants and boutiques invite exploration. Stimulating, interesting, surprising – fun! Here are highlights of our visit – view each day and enjoy as we did! visit local artists on Aviles Street – painters, potters and cobblers at work. 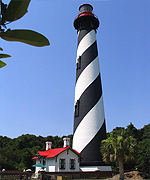 These artists create some of St. Augustine’s finest works of art in original art district of St. Augustine.